THANK YOU to everyone who voted for Trees Organic Coffee & Roasting House in the Georgia Straight’s Readers Choice 20th Annual Best of Vancouver 2015 awards! We’re thrilled to have placed in the Best Fair Trade Coffee Roasters category! We love what we do – roasting and sharing organic, single-origin and fair trade coffee with the best possible flavours for your enjoyment – and greatly appreciate your love and support! 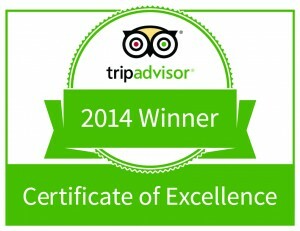 Reviewers on TripAdvisor Love Us! Recently Tripadvisor bestowed upon us a great award: the “Certificate of Excellence.” This award is presented to businesses that consistently achieve high review ratings on the Tripadvisor website. So many folks have written nice things about Trees Organic in their many reviews. Thanks! We have always paid close attention to feedback from our customers, including online reviews. We’re very honoured to know that reviewers from all around the world have given us so much positive feedback that it has culminated into this great achievement. Thanks so much to our customers who aren’t shy about sharing their positive experiences. We love hearing from you. Feel free to leave more reviews — or let us know how we’re doing while you’re in one of our cafes! Our Mango Splash cheesecake is easily our most popular summer cheesecake — and now it’s back! 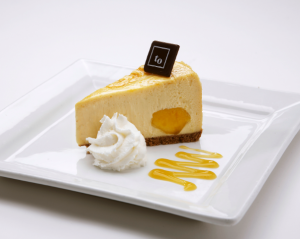 We usually feature a cheesecake a month, but this delightful dessert, made with real mangoes, is so good, we’re happy to feature it through July and August. We couldn’t have done it without you, Vancouver! 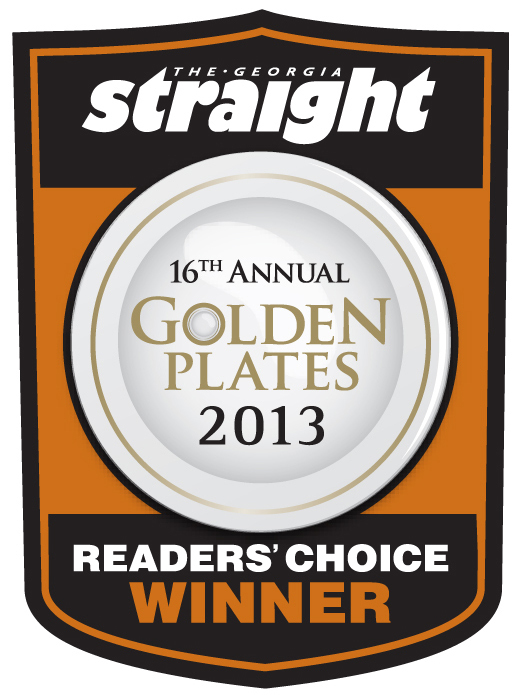 To all those Georgia Straight readers who voted for Trees Organic Coffee & Roasting House as the best fair trade coffee shop in the land, we love you. You’re awesome. This is a city of micro-roasters, bean educators, champion baristas, and countless cafes. As Vancouver leads the way for a new generation of bean-to-cup coffee fanatics, it’s staying true to the fuel. Vancouver baristas coax the best flavor out of carefully selected coffee varieties using Clover, vacuum-pot, and cold-brew techniques. Travelers seeking out independent and small-chain cafes get a little something extra with their coffee: the chance to discover many of the city’s best hidden neighborhoods. We love it when reviewers, bloggers, Tweeps, Yelpers and foodies of all stripes have nice things to say about our café. 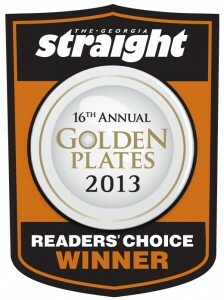 It seems people really like our lattes, cheesecake and more; from the bottom of our hearts, thank you. 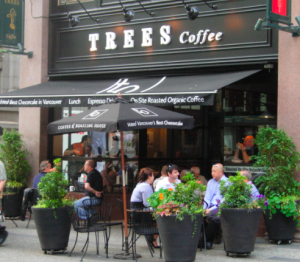 Review of Trees Organic Coffee & Roasting House from Yummyfinds. Have you been to any Trees Organic cafes in Vancouver or Richmond? We’d love to hear your feedback to let us know how we’re doing (and how we can serve you better!). Leave a comment here, review us on your own blog, tweet us up or talk to one of our friendly servers. Let us know what you like! A Kitchen in Brooklyn wrote an article on top Sweet tooth destinations in Vancouver and lists Trees cheesecake as one of their favorite’s on the planet. The grand opening of the newest Trees Coffee location in Yaletown boasted free samples of Coffee, Muffins, and Cheesecake which drew in an enthusiastic crowd, see what Vancouver Foodsters had to say about the opening.